What does the 2018 EACH Resolution say about avoiding pain, fear and stress for children and young people using health services? Read our recent newsletter to find out more. 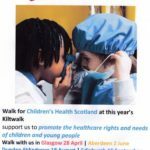 Children’s Health Scotland (CHS) has produced a Children and Young People’s (CYP) Healthcare Rights e-learning resource for practitioners in health and social care who work with CYP. At our recent conference we asked, ‘how do we overcome the challenges to equality in child health services?’. We gathered a host of speakers undertaking some of this work, they set out what they do, and why they do it. Professor Steve Turner, RCPCH Officer for Scotland, the event chair, took up Dr Catherine Calderwood, Chief Medical Officer’s challenge, urging everyone to lead on best practice. Find out what was said. Our Annual Review and Impact Report for the year ending March 2017 is now available. Read about the work of our charity over the last year. Self Management Programme – Shortlisted for Award! In January 2017 we developed a new resource to help professionals and others to engage with their stakeholders a Guide to Engagement with Families – Participation in Practice. 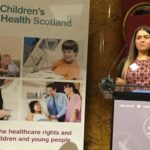 On 15 June Children’s Health Scotland launched our Health Matters for Children and Young People in Kinship Care DVD at an event in Edinburgh. The DVD features kinship carers discussing issues affecting the health outcomes of the children in their care. 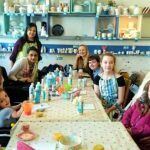 Our 3rd self-management programme for children and young people with long term conditions got underway in April. For further information please get in touch with Simita Kumar our Project Officer.